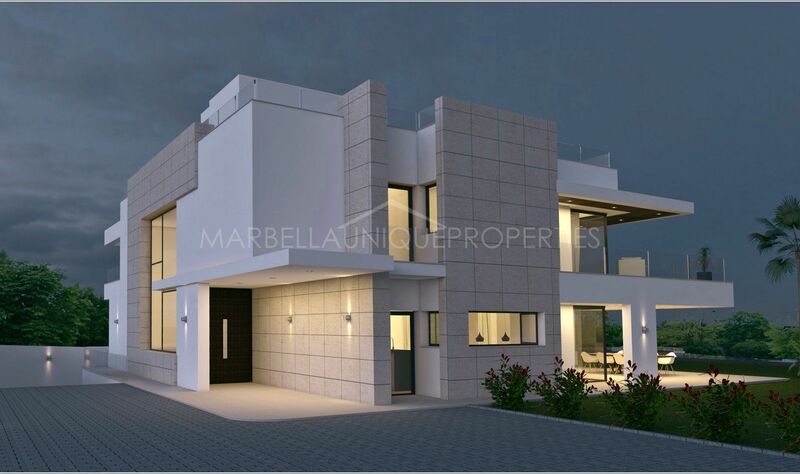 Brand new luxurious villa built in a contemporary style and with the highest qualities, is located in one of the most privileged areas of Marbella, Guadalmina Baja. 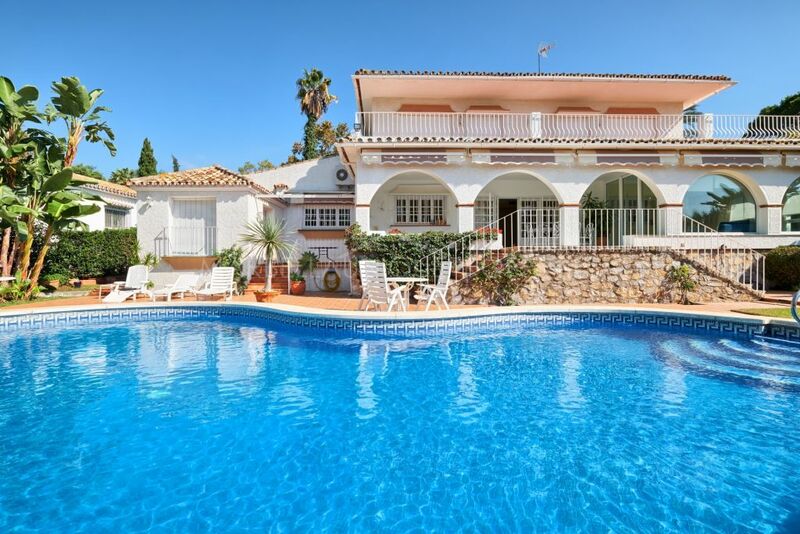 This fantastic villa welcomes us with a large outdoor patio directly to the main entrance, in this patio we can park several vehicles and we can enter as well in the underfloor garage. 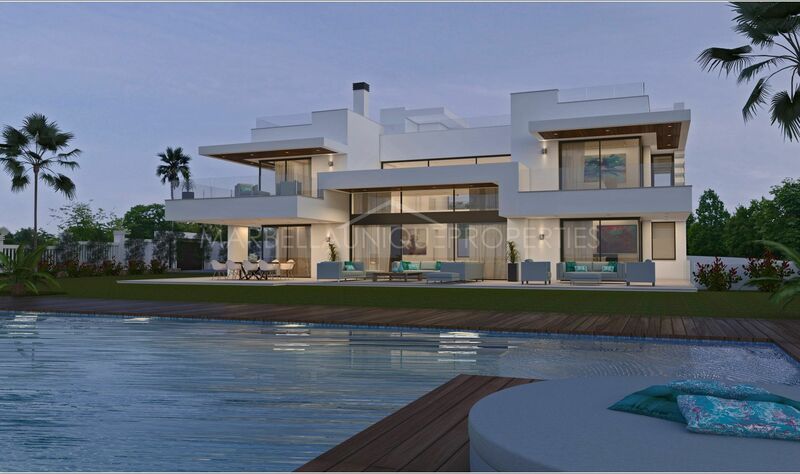 The entrance hall of the house leads to an elegant and spacious living room with large windows and access to the garden, terraces and pool area. Outside we will find a large garden where you can enjoy all outdoor activities possible, with covered terraces where establish outdoor dining areas and a chill-out next to the pool. This plant is divided into two wings, on the right we will find a spectacular kitchen connected to the dining room, and on the left wing we will arrive through a corridor to the two bedrooms that are on this floor, both with en suite bathrooms and dressing rooms. In addition to a toilet for visitors. The upper floor has 3 bedrooms. 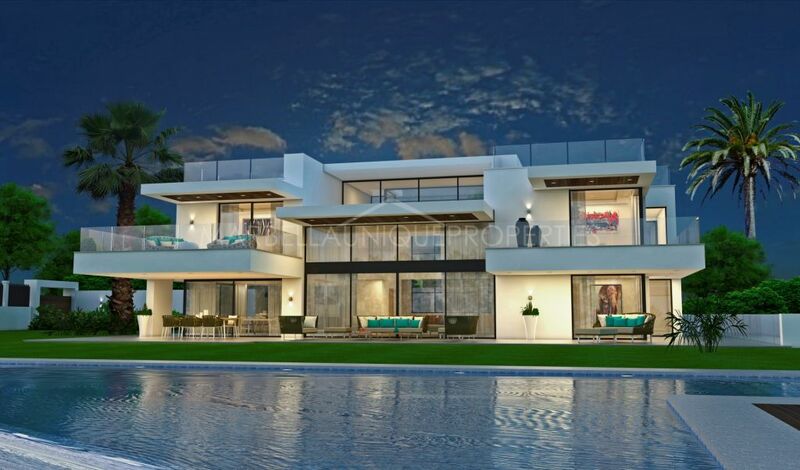 The main one has a much larger size enjoying great amplitude as with the largest of the terraces where you can enjoy the views and the sun, after a relaxing bath in the jacuzzi of the master bathroom. The other two bedrooms that make up the floor also have en suite bathrooms and walk-in closets, as well as private terraces. The 6th guest bedroom or for service is on the lower floor, being a fully independent apartment with private kitchen and living room, in addition to the bathroom. The rest of the plant ends up forming the large garage for 3 cars and storage areas. 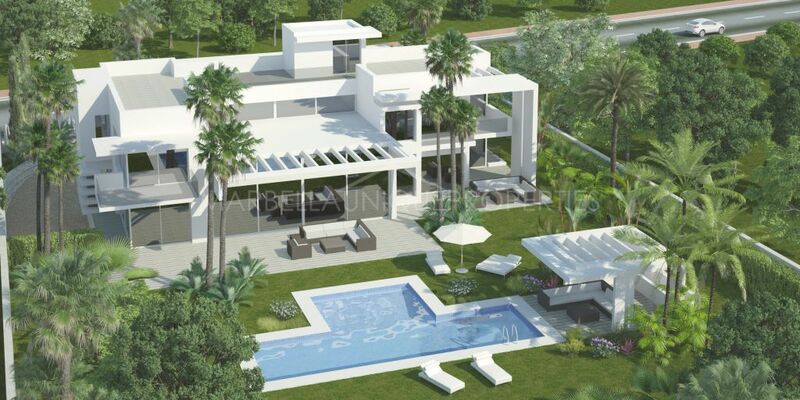 Please, send me more information about ref 239-01202P, Villa in Guadalmina Baja, San Pedro de Alcantara or similar properties.